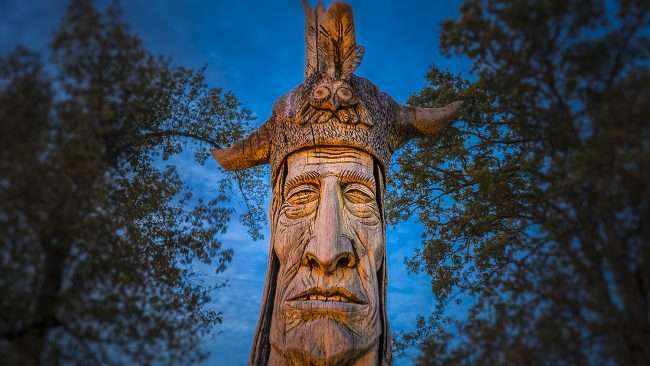 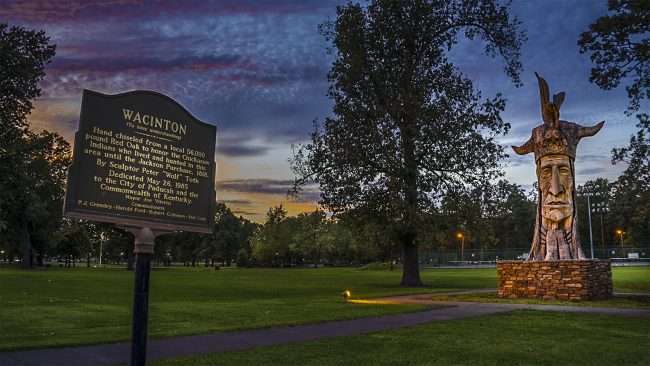 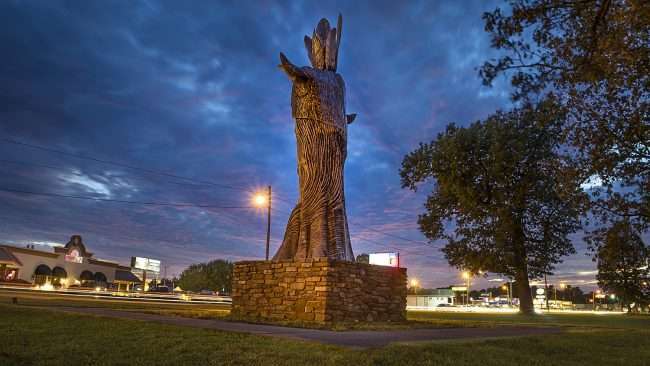 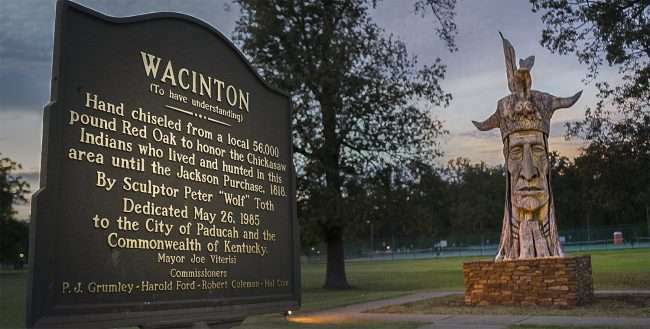 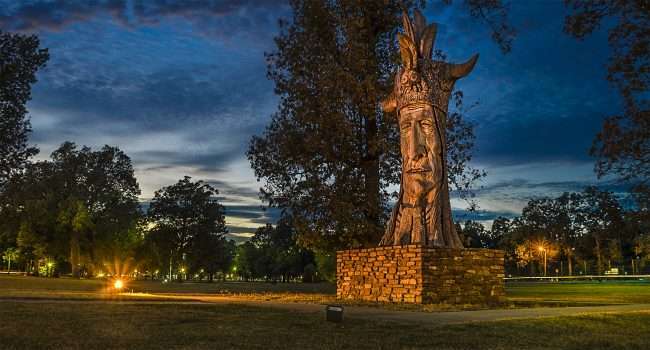 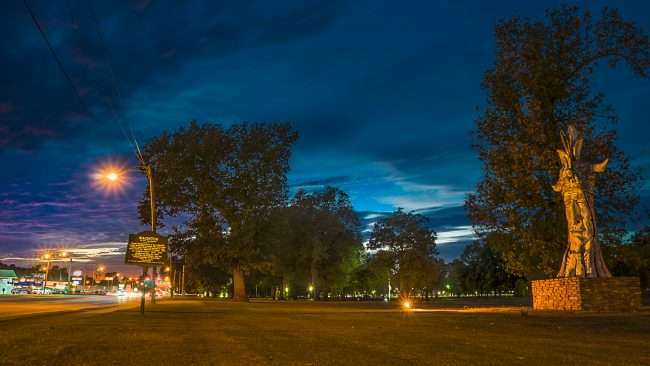 PADUCAH, KY – Wacinton is the name of the giant Indian statue that sits along Park Avenue in Noble Park next to the tennis courts in Paducah, KY.
Wacinton means “to have understanding.” It was hand-carved in 1985 by Peter “Wolf” Toth from a local 56,000 pound red oak. 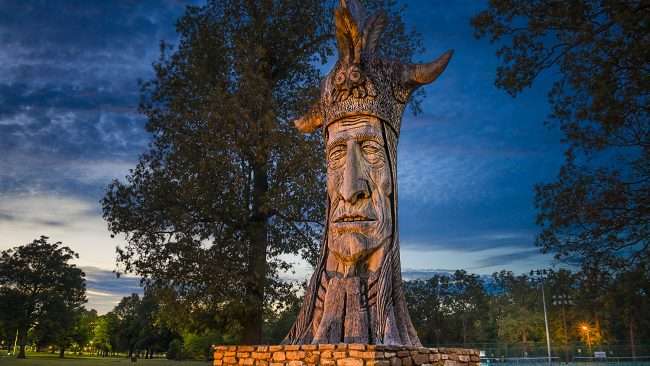 Hand chiseled from a local 56,000 pound Red Oak to honor the Chickasaw Indians who lived and hunted in this area until the Jackson Purchase, 1818. 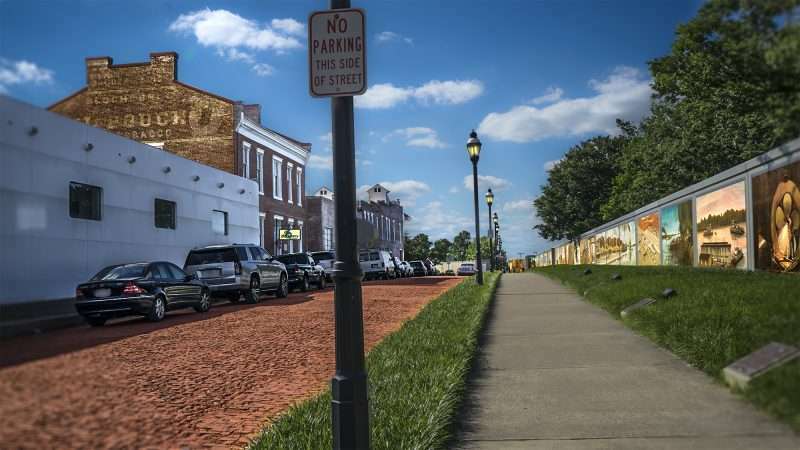 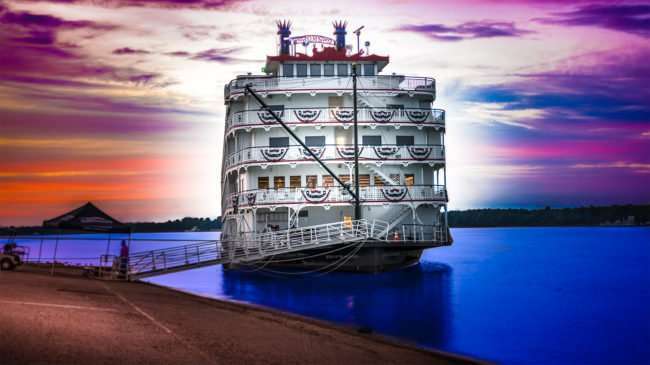 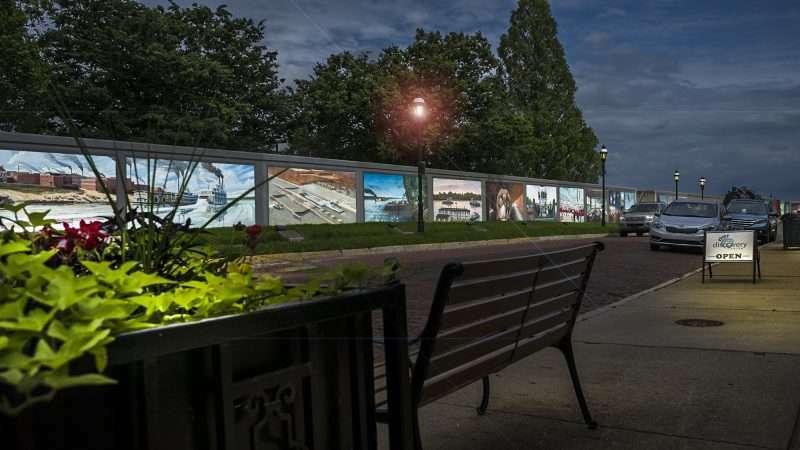 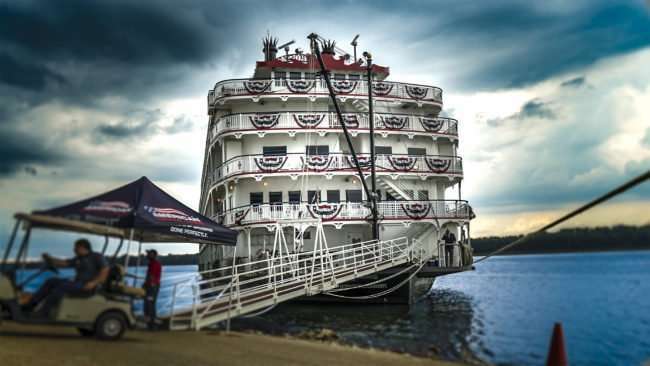 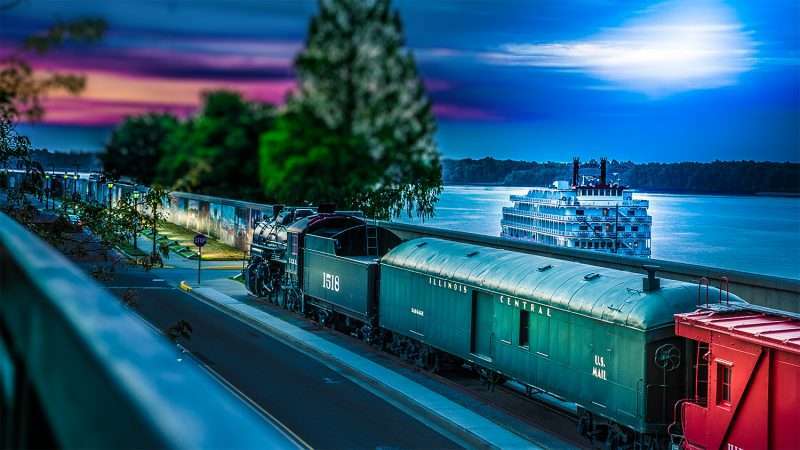 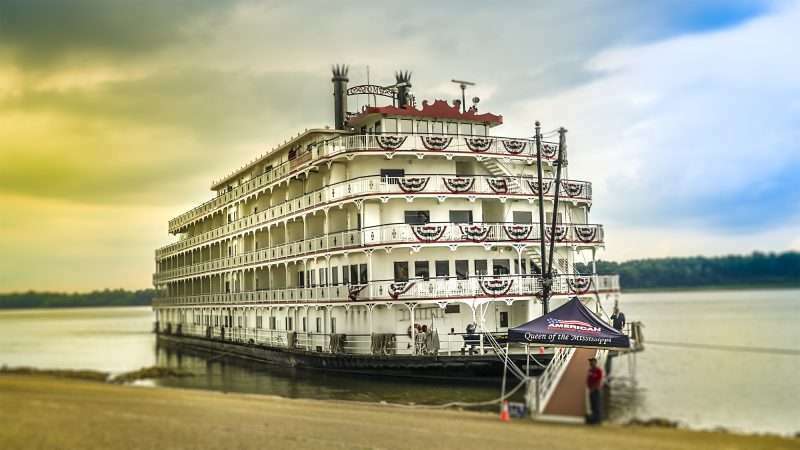 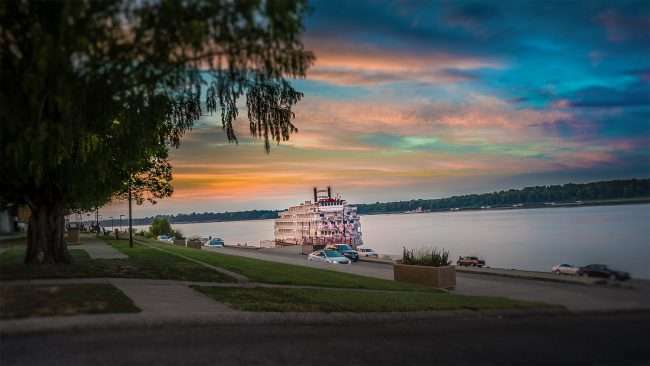 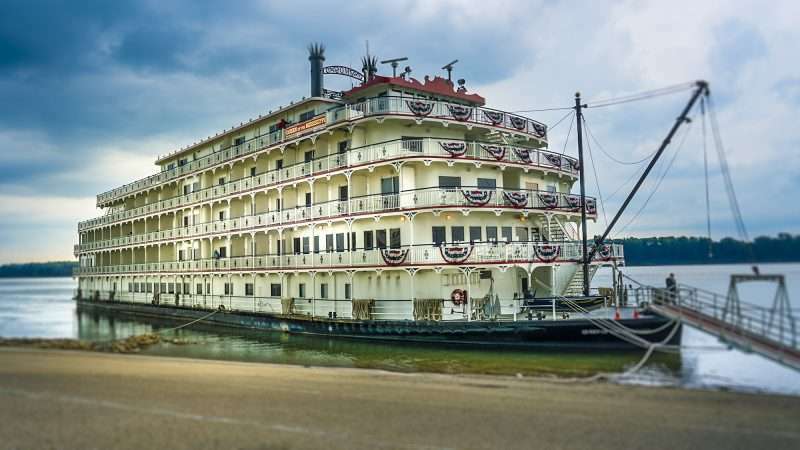 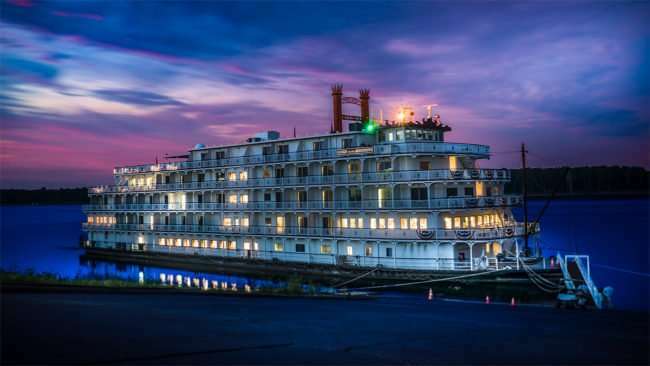 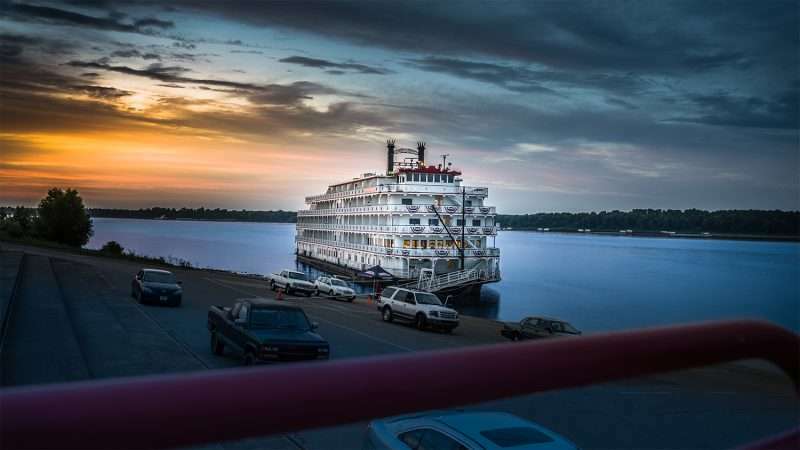 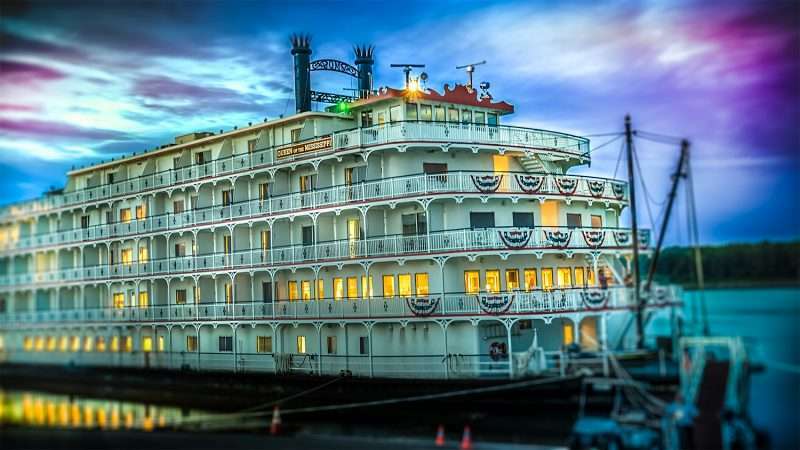 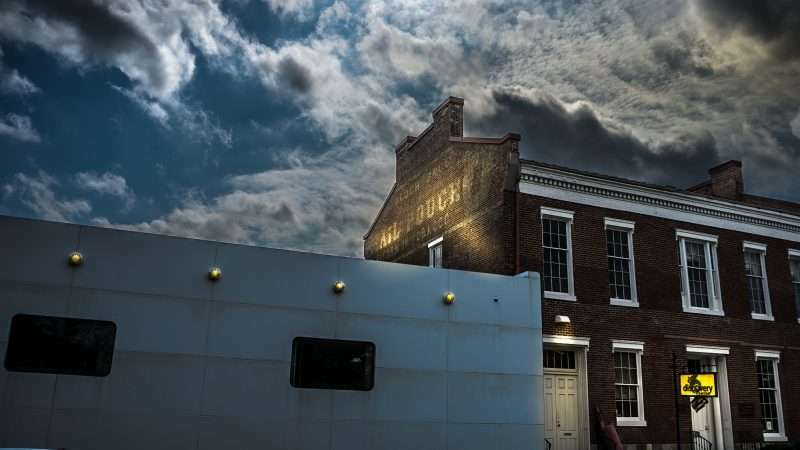 PADUCAH, KY – The Queen of the Mississippi is a 150-passenger riverboat cruiseliner that docks at the Port of Paducah at the foot of Broadway Street in beautiful downtown Paducah, KY. 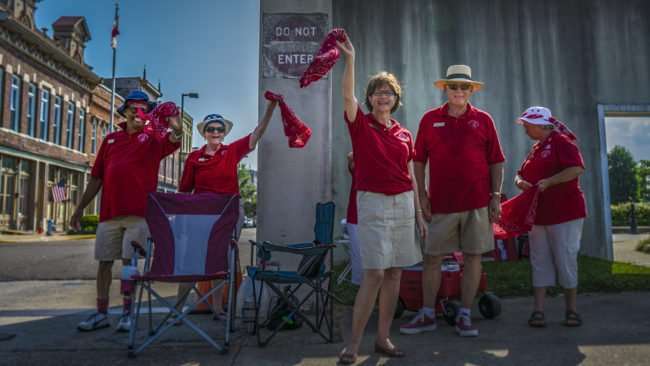 While docked tourist are cordially greeted by Paducah Ambassadors (dressed in red) answering any questions they may have about the Norman-Rockwell-like town of Paducah. 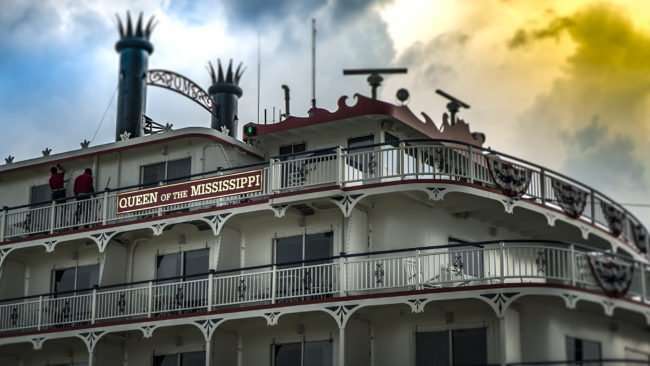 The Queen of the Mississippi was built by the Chesapeake Shipbuilding Company for American Cruise Lines. It’s an authentic paddlewheeler with a length of 295 feet weighs 2700 tons. 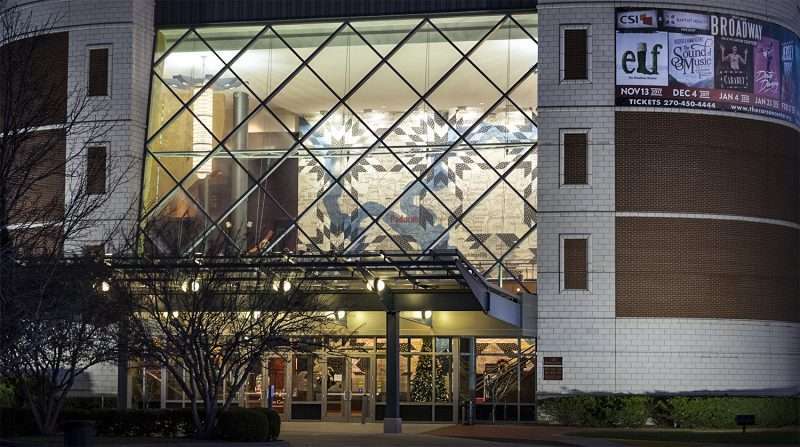 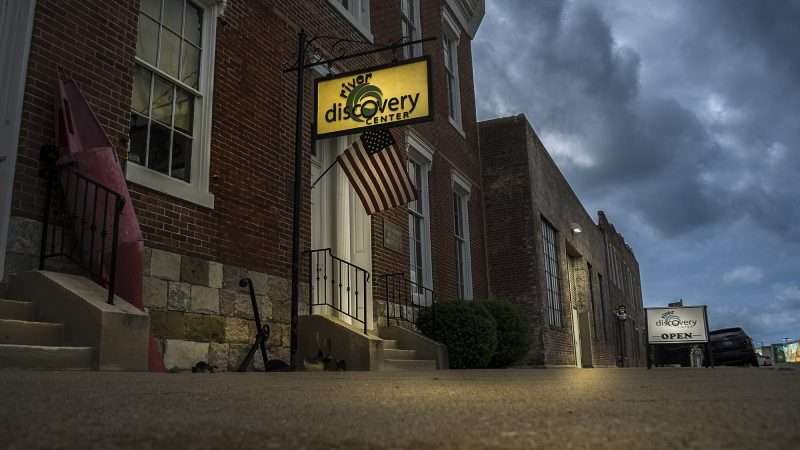 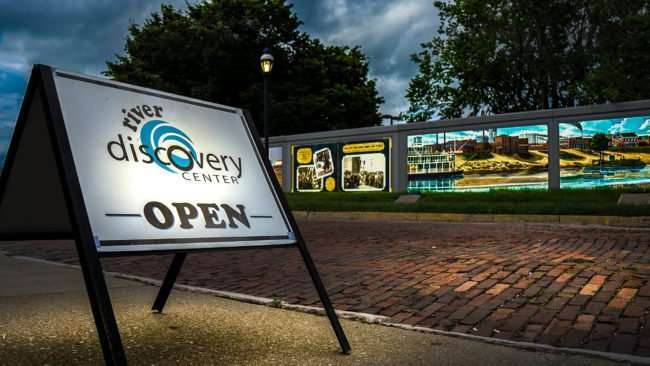 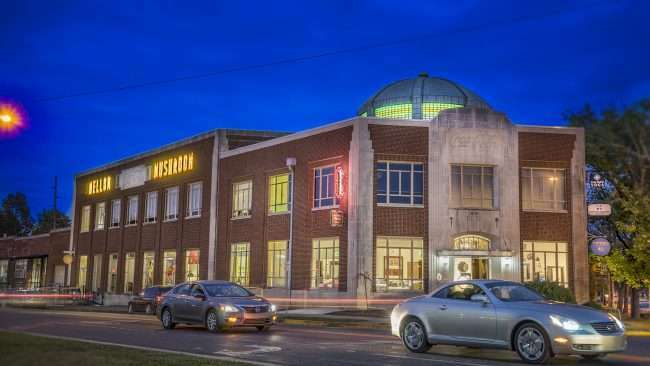 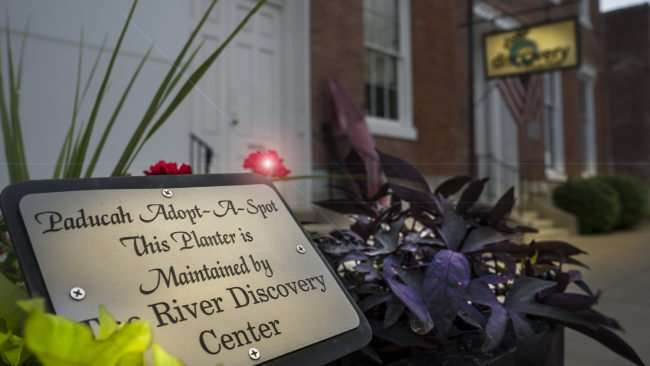 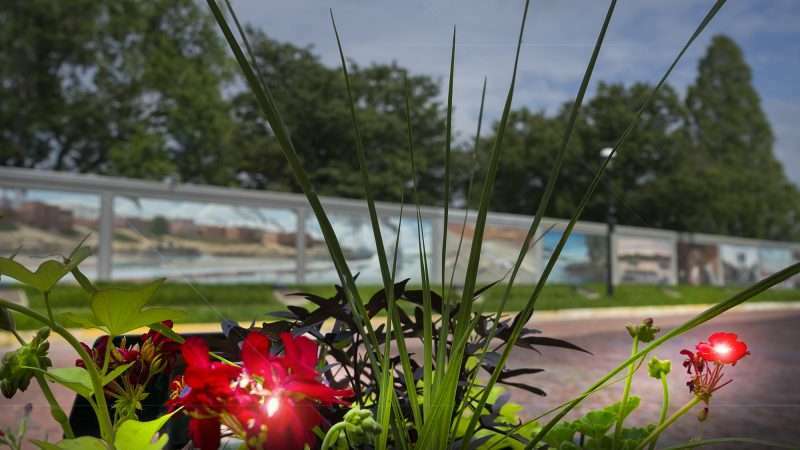 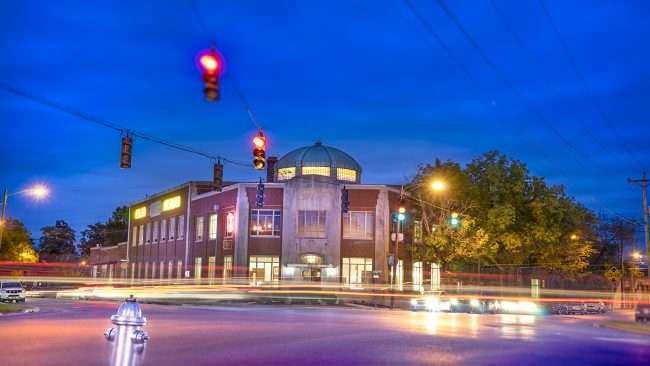 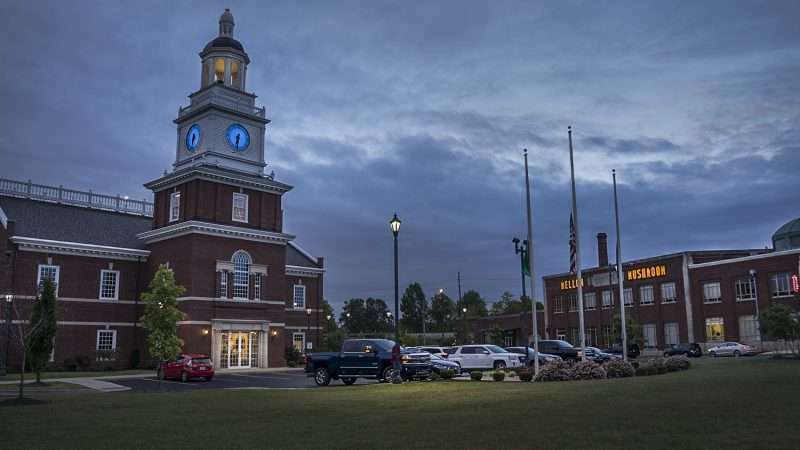 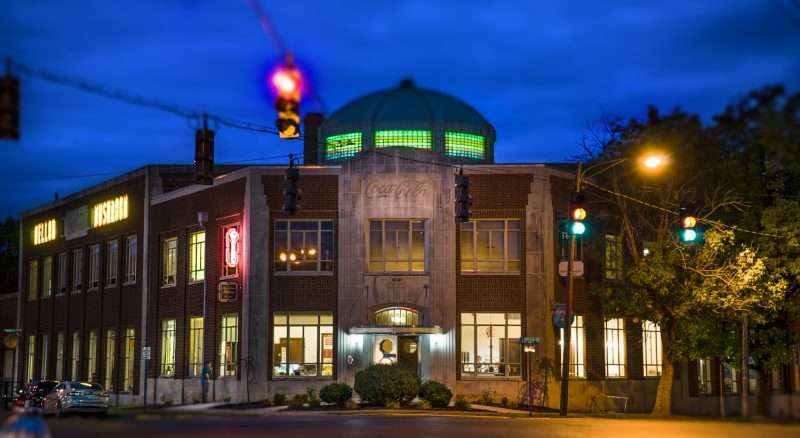 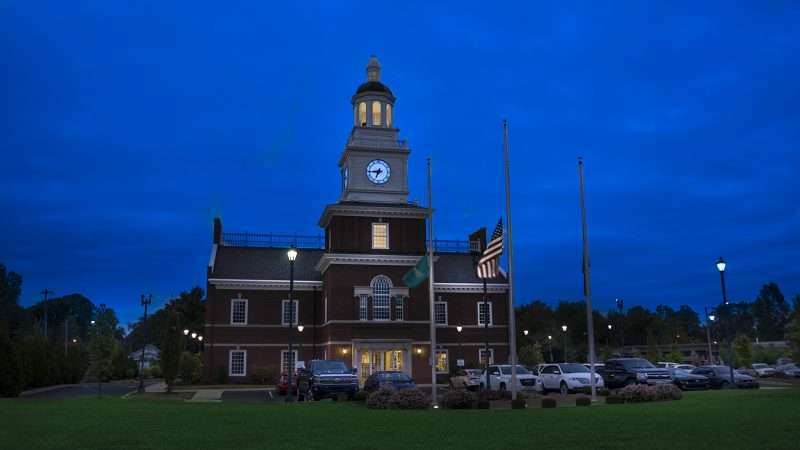 PADUCAH, KY – River Discovery Center is a history museum with a strong focus on the four rivers that meet in the region located at 117 S. Water Street in Paducah, KY. 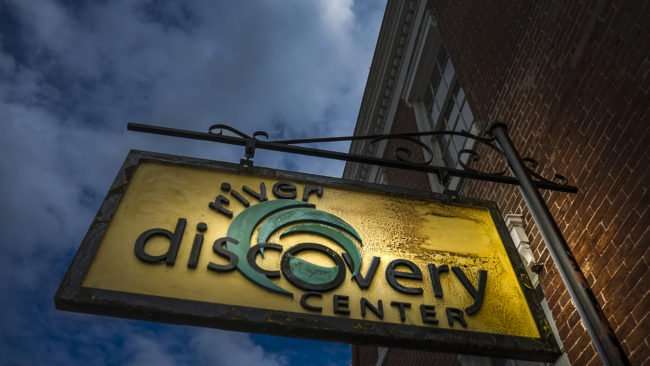 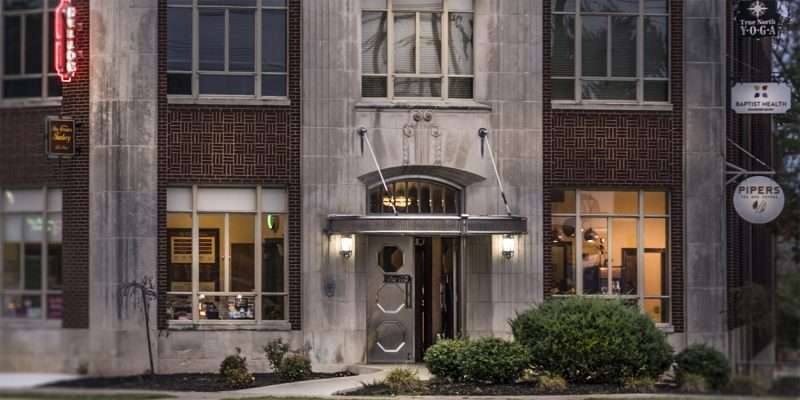 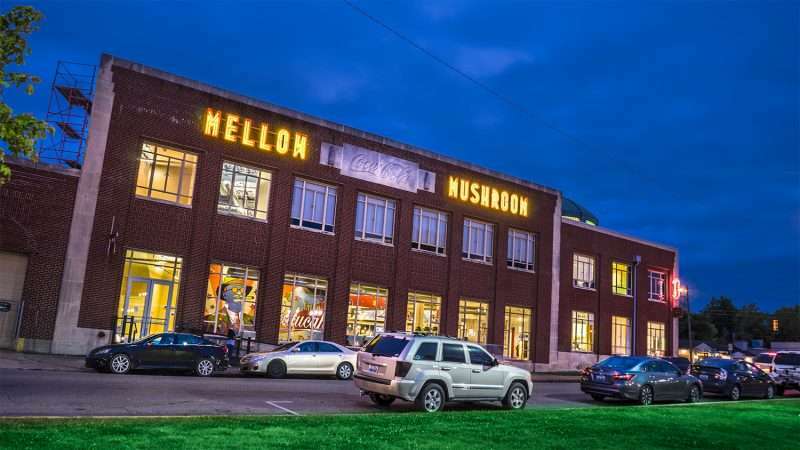 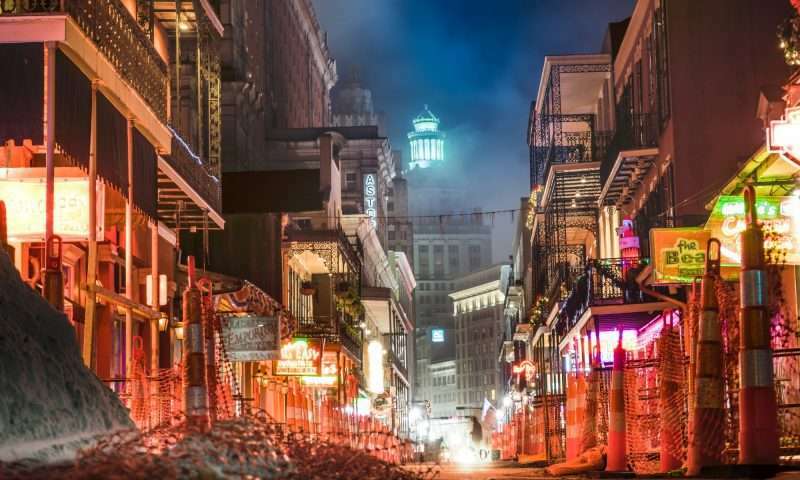 The River Center is a private and non-profit organization in an historic building with an old faded out advertisement on the outside by Block Brothers Co. featuring Mail Pouch Chewing Tobacco. 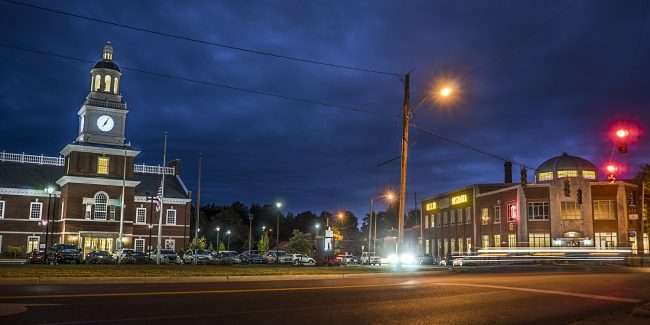 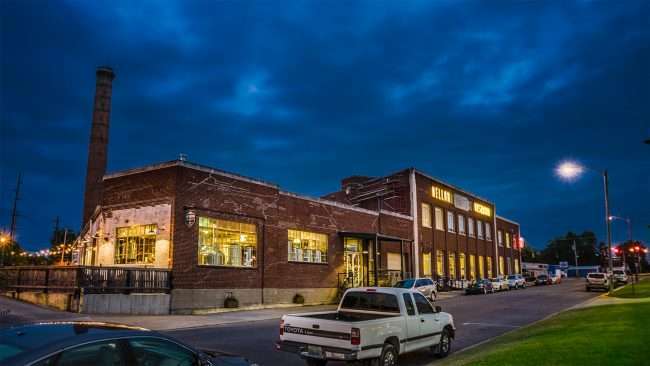 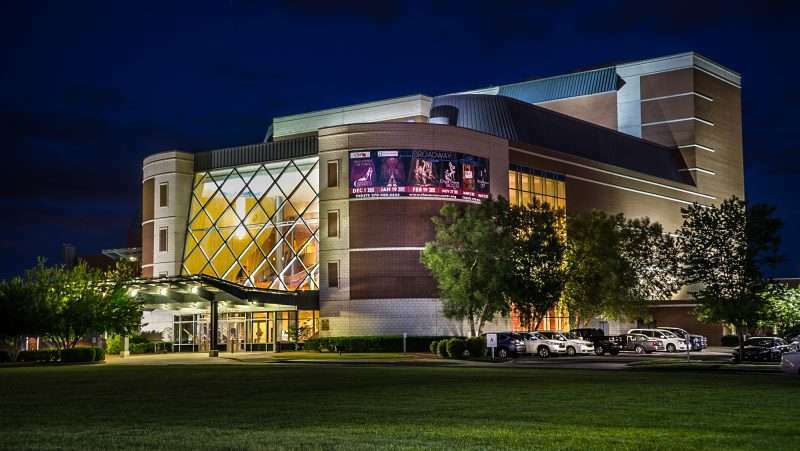 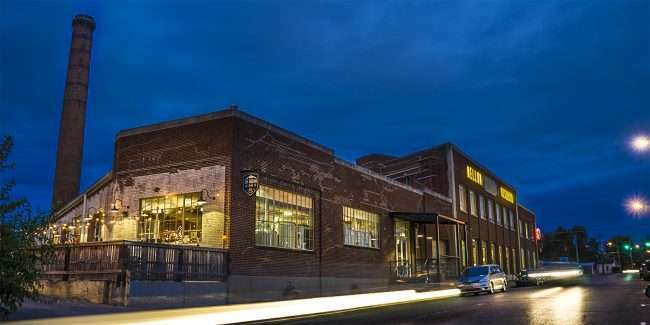 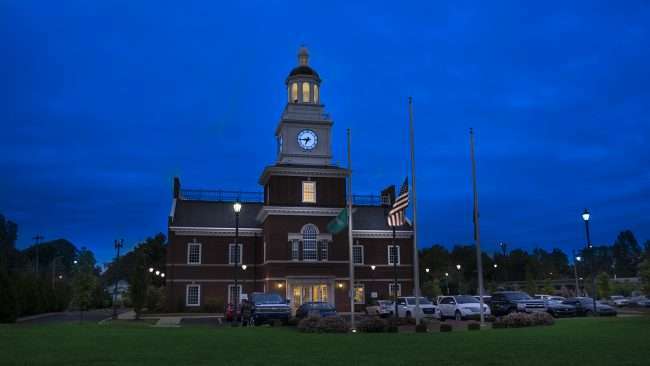 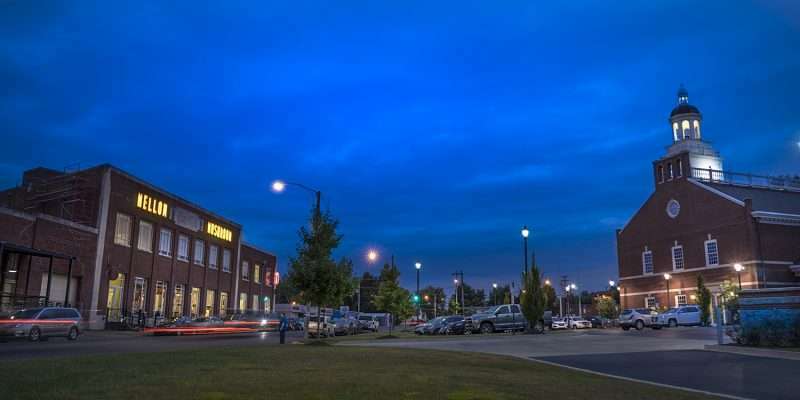 PADUCAH, KY – The Luther F. Carson Four Rivers Center is a non-profit multi-use building for concerts, live theatre, events and more located at 100 Kentucky Avenue in downtown Paducah, KY. The main concert hall/theatre seats 1806 people. 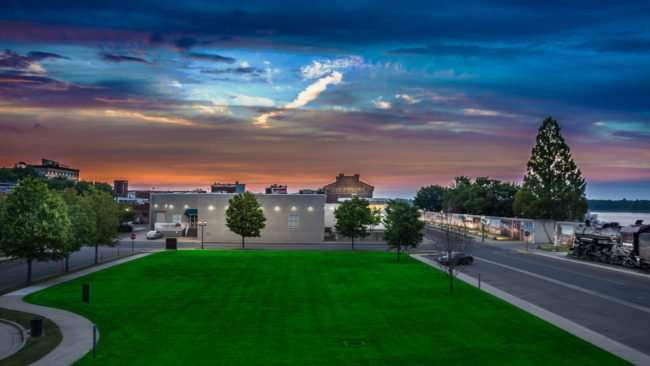 And with the farthest seat being only 112 feet from the stage, there’s no bad seat in the house. 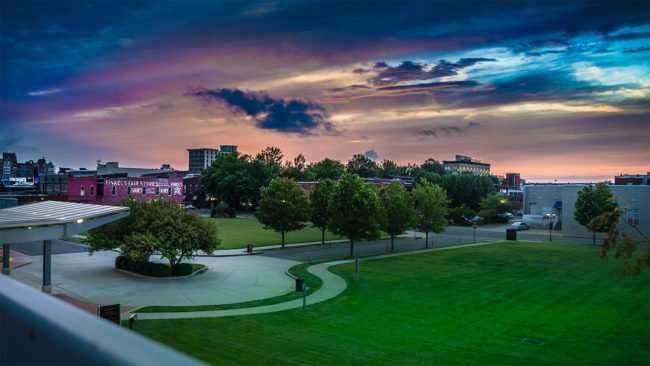 Three photos below were taken from Carson Center’s 2nd-floor patio overlooking downtown Paducah.